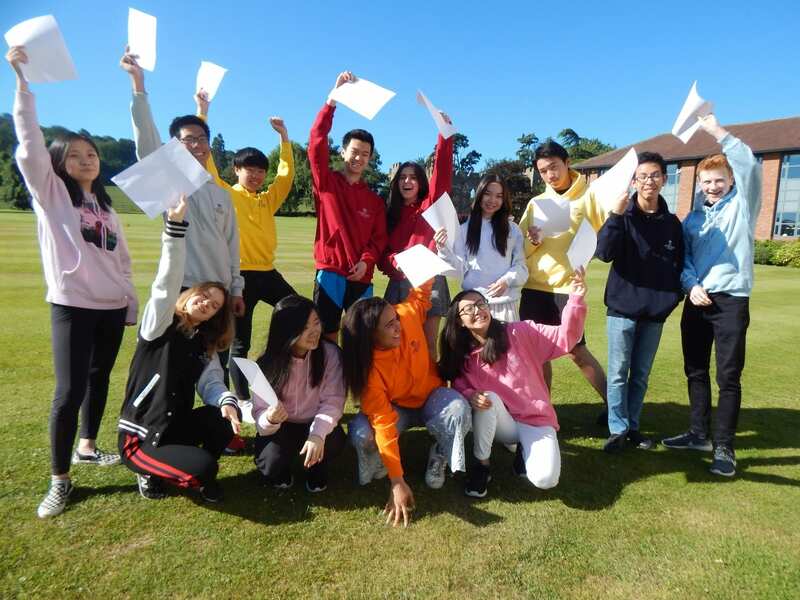 Concord is delighted to announce that the GCSE results published this morning are the 'best ever' with a record breaking performance by the Lower School students. A record 87% of grades awarded to students at Concord were 7-9 (or A*/A) and in the subjects in which grades 1-9 were available (compared to the national average of 20%) , 71% of grades awarded were 8 or 9 (compared to the national average of 11%). Forty-six percent of grades awarded were 9s (compared to the national average 4.3%). Overall 198 grade 9s were awarded and an additional 151 A*s - in the subjects still graded A*-G - to the 75 students in the year group. One student, Jean Kuikenov, achieved top grades (9s or equivalent) in 11 subjects and two students, Anna Kozlova and Gabriel Alakbarov, achieved 10 top grades. Twenty Concord students achieved 8 or more top grades and 42 achieved 5 or more top grades. Over 75% of students achieved at least 5 8s, 9s or A*s. Said Principal Mr. Neil Hawkins: "Congratulations to our wonderful students who have achieved record results this year. Their determination, dedication and talent have been rewarded with quite astonishing results. "Such results should be hugely affirming for the individual students and give great pride to their families. "I am extremely grateful to the staff team here at Concord. Their care and skill has made these special results possible. " NB The statistics include GCSEs/IGCSEs or equivalent (including Additional Mathematics and BTEC music) with some exams now graded 1-9 with 9 being the top grade – the equivalent of a very high A*. Not all of the exams taken this year were graded in this way – some were still graded from A*-G.